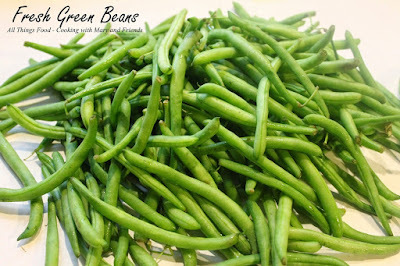 Canning fresh green beans is easy, but they must be pressure canned and can not be water bath canned. All low-acid foods such as green beans, corn, potatoes, carrots, soups, stews and stocks can only be safely processed in a pressure canner. I'm really not sure when I developed a love for canning, but it certainly wasn't immediately. I remember clearly stating to some friends "I'm not doing that" after I had put up and frozen a lot of fresh veggies one summer. It's too much work, who would do that? Why would I spend my time doing that? On and on it went with every excuse you can come up with. Well one day I finally decided to begin canning, and asked my mother for a pressure canner for my birthday, after I discovered you can do so much more with a pressure canner. All low-acid foods can be "put up" in a pressure canner; stocks/broths, soups, corn, green beans, potatoes, meats and more. I was infatuated with it all and couldn't wait to try my hand at it. Needless to say 20+ years later I am canning and enjoying every minute of it. My family and friends love receiving my canned goods, and I enjoy preserving summer's bounty for us all to enjoy year round. Pressure canners for use in the home have been extensively redesigned in recent years. Models made before the 1970's were heavy-walled kettles with clamp-on or turn-on lids. They were fitted with a dial gauge, a vent port in the form of a petcock or counterweight, and a safety fuse. Modern pressure canners are lightweight, thin walled kettles; most have turn-on lids. They have a jar rack, gasket, dial or weighted gauge, an automatic vent/cover lock, a vent port (steam vent) to be closed with a counterweight or weighted gauge, and a safety fuse. Pressure does not destroy microorganisms, but high temperatures applied for an adequate period of time do kill microorganisms. 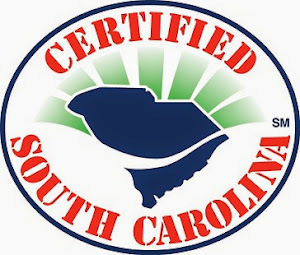 The success of destroying all microorganisms capable of growing in canned food is based on the temperature obtained in pure steam, free of air, at sea level. 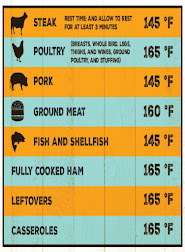 At sea level, a canner operated at a gauge pressure of 10.5 lbs provides an internal temperature of 240°F. Rinse fresh green beans and trim ends. 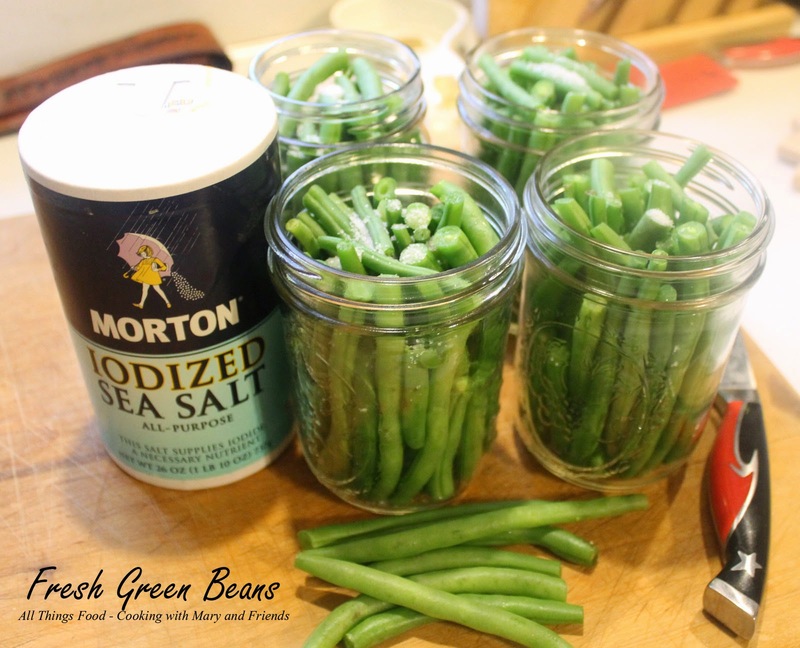 Cut beans to fit in canning jars (I prefer to can them in long pieces, but you can also cut up into 1 1/2-inch pieces). 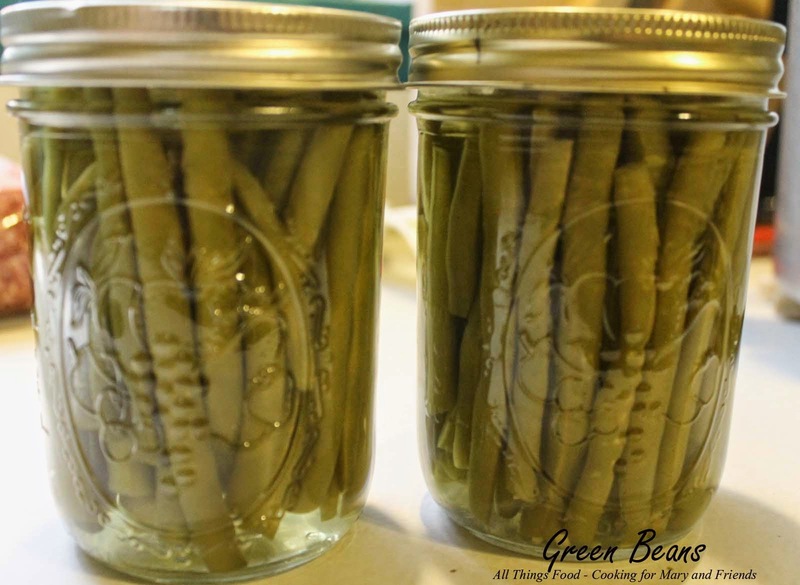 Tightly pack jars with fresh green beans. You really need to pack them as tightly as you can as they will shrink a bit while canning. Ladle boiling water over beans in jar, leaving a 1-inch head-space and add 1/2 tsp. salt to each jar. Cover with lids and seals, turning just until finger-tight. Do no over-tighten. Process pint jars 20 minutes at 11 lbs. pressure according to your pressure-canner's instructions. Once done, remove canner from heat, and let cool down (do NOT remove lid) until locking mechanism goes down on its own. Remove lid and let jars sit in open canner another 5 minutes, then remove and allow jars to cool on a towel on your kitchen counter-top undisturbed for 24 hours. Store cool jars on pantry shelf for up to 1 year. 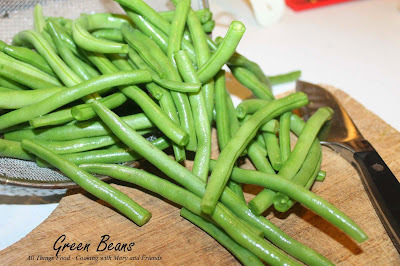 I love canning green beans because they are easy to do,and don't take up space in my freezer. I also love the convenience of just grabbing a jar off the pantry shelf. Canned goods also come in handy when you lose power, or go camping. Simply open the jar, pour it into a pan and heat it on a grill or campfire! No refrigeration necessary.